Details: Made in USA. Lined except at sleeves. Hidden back zipper. 90% nylon, 10% spandex. Lining: 100% polyester. Hand wash cold or dry clean. Small measurements: Length from top of shoulder to hemline: 36". Bust: 32". 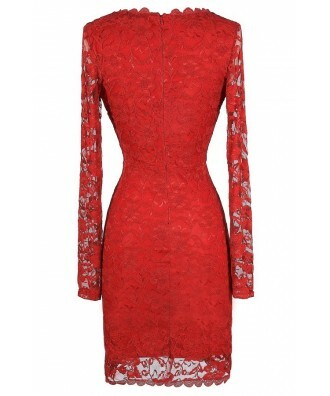 You have added Naughty Or Nice Crossover Hemline Longsleeve Lace Dress in Red into Wishlist. 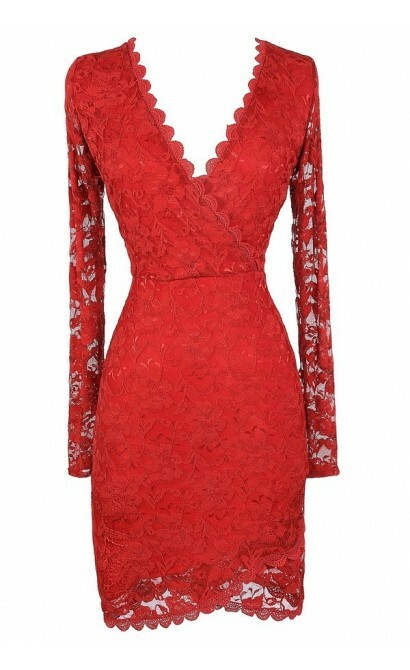 You have added Naughty Or Nice Crossover Hemline Longsleeve Lace Dress in Red for Stock Notification. 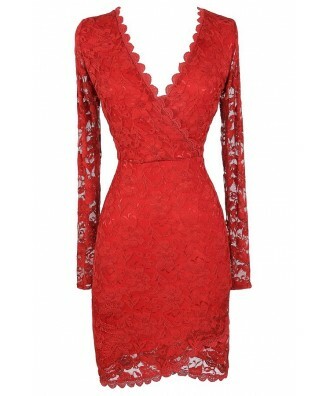 You have set Naughty Or Nice Crossover Hemline Longsleeve Lace Dress in Red as a loved product. 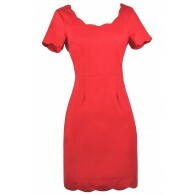 You have removed Naughty Or Nice Crossover Hemline Longsleeve Lace Dress in Red as a loved product.